How many beats are in each measure? What is the key signature for A major? What is the third space in the treble staff? How many phrases do you see? These are some of the questions I ask on a regular basis in my teaching. However, these questions are convergent, meaning they still have only one answer (source). The third space in the treble staff will always be C, no matter how you ask it. What about questions that have more than one answer? What are some ways you can practice that section at home? What do you think is the most important word in this phrase? How do you want this part to sound? Why do we have key signatures in music? What is your favorite thing about this piece? Again, these questions can be answered in many different ways. And even if the answer you get doesn’t quite match the answer you might have given, this creates a great opportunity for dialogue. This question really gets at what they know, how they understand things, and their process for figuring things out. I get the best answers when I ask this question! Sometimes, I get a very thoughtful, thorough explanation that shows me the learner has a solid grasp on the concept; other times, the answers I get show me there’s been a misunderstanding somewhere along the line that I need to address (but you’ve got to love the creative explanations they come up with!). A final, closing thought—when you ask questions in teaching, think about what you really want to know (and why) and ask questions that point to that. Do you really want to know what the key signature for G major is? I’m guessing you already know the answer to that one. ;-) Instead, you’d probably like to know that your choir can figure out what key they’re singing in or that your student is developing an understanding of tonality and how key signatures work. 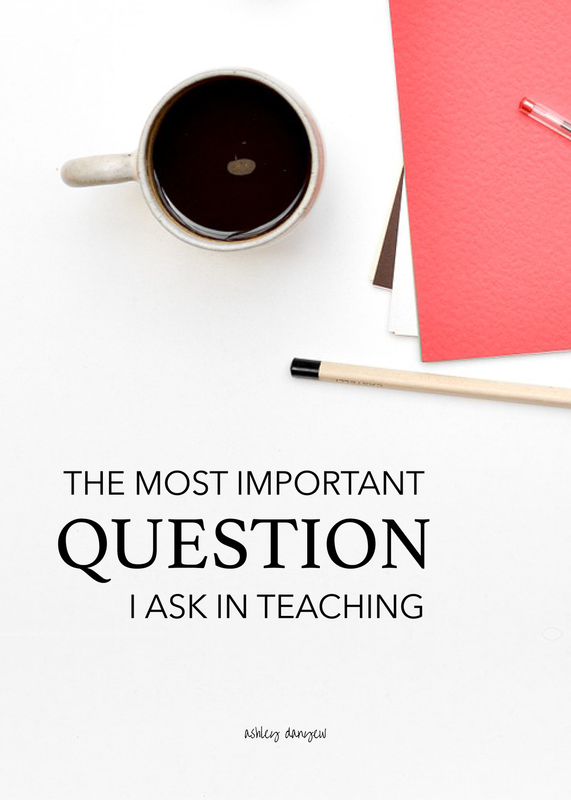 What are your favorite questions to ask in teaching?